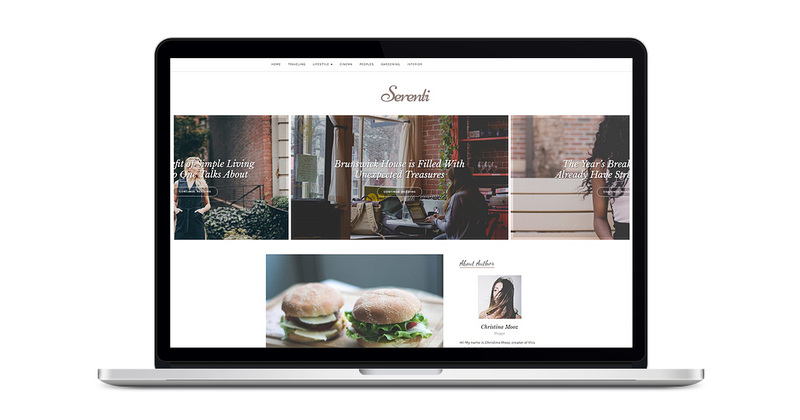 Serenti WordPress theme already includes slaider and you don't need to install additional plugins. To setup latest posts and social profile buttons you need to install and active Orange Themes Custom Widgets". Then in theme Widgets area you will see three new widgets. To enable social sharing buttons you need to drag&drop "[OT] Socials" widget to sidebar area. Then open widget configuration panel and enter url's to your social profiles. Just copy&paste links: https://www.facebook.com/yourpagename or https://twitter.com/yourpagename. Serenti theme have wide footer widget area which is made to add full wide widgets for example Instagram Feeds. This widget area is the same as in my Sanremo & Barletta WordPress themes and below you can see video tutorial, how to add instagram feed to Serenti WordPress theme.